Video conferencing is a fantastic resource for organisations with multiple office locations or clients spread all over the place. It gives you a chance to engage with your colleagues face-to-face without having to spend lots of time and money travelling to meetings. The problems come if your video conference room design and resources are hindering rather than aiding your ability to collaborate and have productive discussions. There will be multiple designs and layouts that could work in any given video conferencing space, so to help decide what they are, there are four constants that you’ll want to consider. This may seem like the most obvious answer, but you’d be surprised how many people muddle through every day using inefficient, slow or out of date solutions for holding video conferences. There’s plenty of software out there for remote workers, but if you’re a business that often uses video conferencing in a meeting or board room scenario then it’s worth investing in some hardware to make your meetings more efficient and a whole lot more enjoyable for everyone involved. 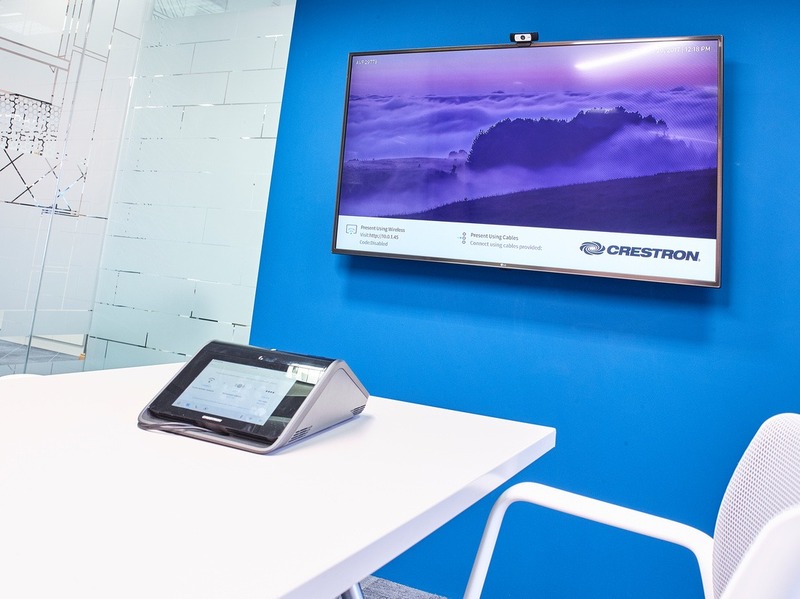 As well as video calling, systems like Clevertouch allow for incredibly easy remote screen sharing, from multiple devices at a time if needed. So you can share resources with the whole team, whether your colleagues are sat in another conference room or remote working at a laptop somewhere. To get the benefit of the crystal clear audio that you can enjoy with a lot of the good video conferencing systems, you need to consider the acoustics in your meeting space. Reverberation is a big no-no when it comes to video conferencing. It’s distracting, and if you can’t hear what people are saying it makes for a seriously frustrating and probably pretty unproductive meeting. You can get a whole variety of noise reducing products, depending on how your video conference room or meeting space is set up. A lot of meeting rooms have glass walls which can enhance reverberation, so for enclosed rooms, acoustic baffles or hanging panels can be placed on the ceiling to absorb excess noise. 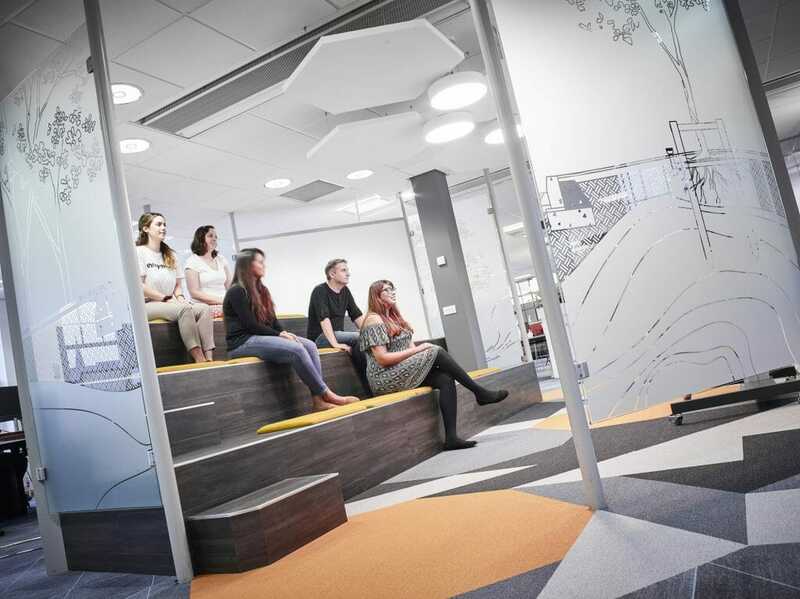 These also work well in semi-open meeting spaces such as this one at rg+p architects. This is just one example of the many clever solutions that look great whilst improving the acoustics in your workplace. We have a number of them in place at WorkLife Central – you’re welcome to come for a visit! You never know when you’ll need to reconfigure your conference room, so having flexible furniture will make life a whole lot easier should you need to move things around. Modular meeting tables come in various shapes and sizes. You can choose the best solution for your needs. The best thing about using modular furniture is that it’s adaptable if your needs change over time. In fact, your whole video conference room design can change if it’s versatile in the first place. Our own conference room at WorkLife Central is completely flexible, with removable walls, modular tables, portable power points and a mobile Clevertouch screen system with Starleaf video conferencing software installed. This is a flexible meeting space we designed, fitted out and furnished for a client in the agri-business sector. A well-lit office can transform your working environment and improve the overall mood of your people. It can lift morale, increase energy levels and even relieve stress. As we’ve already mentioned, conference rooms can be used for lots of things besides video calls. So you’re going to want your lighting to work for a whole range of situations. Natural light is generally preferable as it helps to refresh people and is better for the eyes. But if natural light is sparse in your meeting rooms, light fixtures will do the trick. 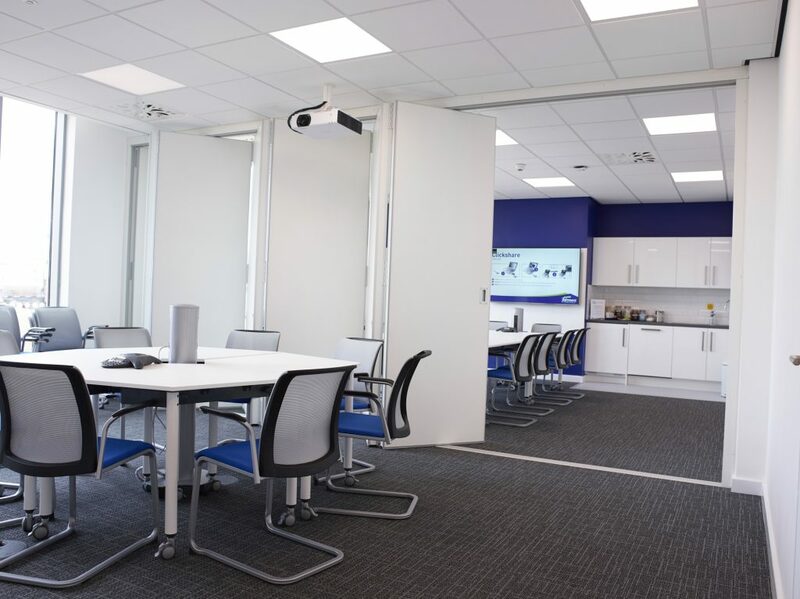 Intelligent lighting solutions that can be adjusted to changing requirements are ideal for a video conference room. If your space does have large windows and can get too bright or hot, you may want to consider blinds or other glare and heat-reducing options. There are lots of products out there, but our team can help you identify which is best for your space. We’re all about helping you get the most out of your meeting spaces by making them work for your people. 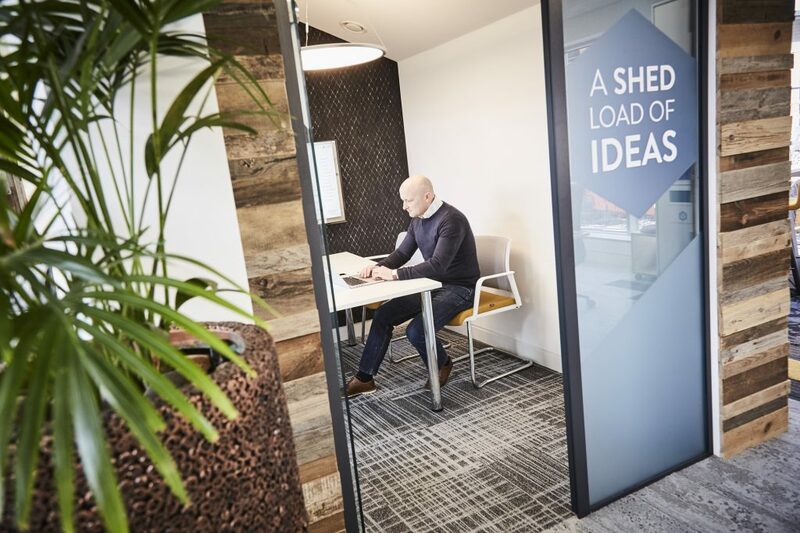 Get in touch to arrange an informal chat about your needs with one of our office design experts.